Senator Rafiu Adebayo Ibrahim representing Kwara South has disclosed that lawmakers belonging to the Parliamentary Support Group, PSG, allegedly received the sum of $1 million each to impeach the Senate President, Bukola Saraki and his Deputy, Ike Ekweremadu. The lawmaker made this disclosure in an interview with newsmen at the National Assembly. 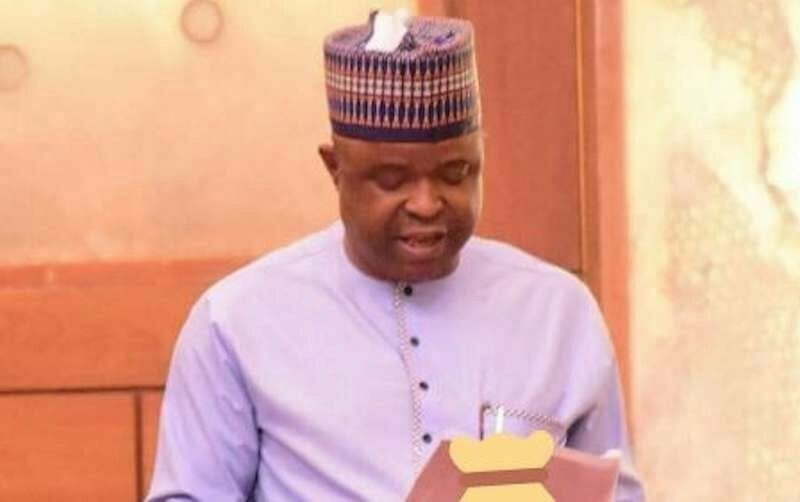 Senator Ibrahim, who is a member of the Pro-Saraki group, also protested the invasion of the National Assembly by officers of the Department of State Services, DSS, and the Police Force. In a related development, another prominent member of the Pro-Saraki group, Senator Dino Melaye representing Kogi West district, accused the National Chairman of the All Progressive Congress (APC), Adams Oshiomhole, of collecting signatures of lawmakers with the aim of effecting a leadership change in the upper chamber of the National Assembly. Melaye, while bringing his colleagues up to speed on the plot by members of the PSG, said the APC National Chairman was in a meeting with pro-Buhari senators to collect signatures for Saraki and Ekweremadu’s impeachment. “The Chairman of APC is currently meeting with some APC Senators. As I speak, we understand he is collecting signature for the Senate President’s impeachment. “We also understand that after collecting the signatures they will be proceeding to the National Assembly to carry out their plan. We are waiting for them,” the lawmaker asserted.